about this book: What happens behind the scenes as we live our lives? And what happens behind THOSE scenes? This fun, whimsical journey follows the angel teams working behind two humans, Jack and Emily, who are living at far less than their full potential. Their angels want to throttle them -- lovingly, of course -- until their humans finally start to awaken and embrace life. You'll laugh, roll your eyes in recognition of the human condition, open your heart, and then laugh some more. 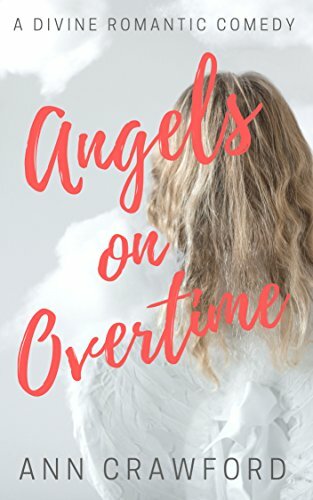 When my husband and I met and matched each other so well, we pictured a team of angels (metaphorically) working -- in a Keystone Cops kind of way -- behind the scenes to bring us together. And, actually, more of this book is true than you might think. This book will appeal to and be fun for spiritual newcomers and sage masters alike. • Spiritual wisdom delivered in light-hearted humor. • Spiritually uplifting and inspiring read with a life-altering metaphor.